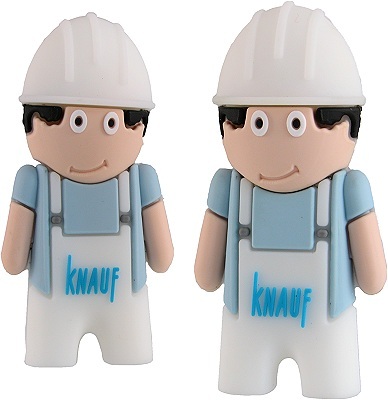 Character USB Flash Drive custom as a Branded Promotional Gift. 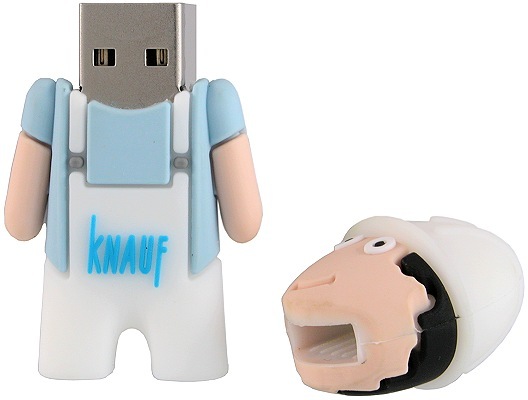 As a USB flash drive I am quite a character. I am logo branded and available in bulk as a promotional gift or for corporate use. Do you have workmen interacting with your clients? 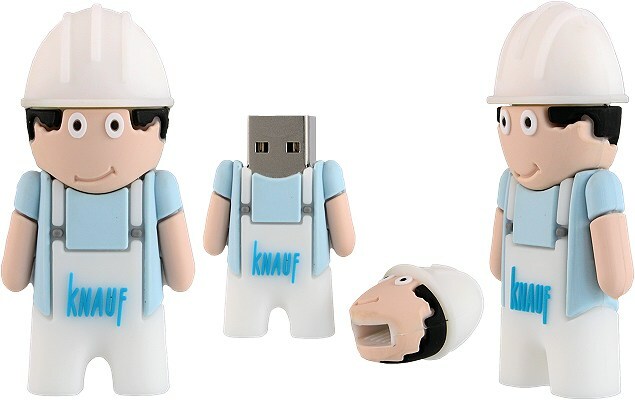 This little usb drive character is a workman with a helmet but you can devise whatever character you like. Choose you own colour scheme and your company logo can be part of the mould standing out in relief.